It did not take Amazon long to set up a page promoting gift cards for their new Amazon Appstore. Although its unlikely that there will ever be as many Amazon Appstore gift cards floating around as there are itunes gift cards no doubt it will be a popular gift card. 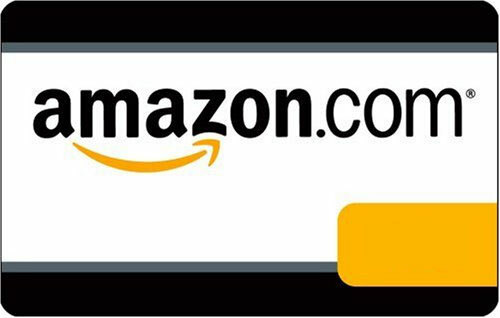 Amazon makes it incredibly easy to buy Amazon Appstore gift cards, you can choose to send an Amazon Appstore gift card by e-mail, via Facebook, or you cna just print it. Currently the Amazon Appstore gift cards are only available in the United States and you still need to have an active Amazon account. The cards can be redeemed in the Appstore, on Amazon.com or on Amazon’s Endless.com. The Amazon Appstore is still in its infancy, but thanks to the popularity of Amazon.com the layout and feel of the Appstore will be very familiar to anyone who has shopped on Amazon. One of the fun features that makes it stand out from the itunes store is the Free App of the Day. The promotion provides a free app that would usually be a paid app everyday. Its very similar to a daily deal site like Groupon or Wagjag but for Android Apps. Another great feature is the Appstore Test Drive, some of the Appstores apps can be tried out before you are buying them from your PC. Its handy because you can quickly and efficiently browse apps on a large screen and decide if you want to purchase it before you download it to your Android phone. If you are planning on trying out Amazons Appstore or already an active customer be sure to check out Giftah.com’s gift card listings to see if there are any discount Amazon gift cards available. With a discount Amazon gift card you can save money on anything in the Appstore or from any other Amazon site. Giftah.com will help you put more money back in your pocket.